Colin Kaepernick has been on a downward spiral this season. While his supporting cast has been awful, Kaepernick has been struggling mightily and it looks like his head just isn't right. This has led to San Francisco 49ers head coach Jim Tomsula, with his team 2-6 so far on the season, benching the star quarterback in favor of—guess who?—Blaine Gabbert. It's a bit of a confusing decision to many fans, since Gabbert is nowhere near close of an upgrade compared to Kap. Tomsula answered why he benched the QB to ESPN. "This was just a decision that I just felt like I wanted Colin to step back and breathe," Tomsula said. "Look at things through a different lens. Keep preparing, keep doing his thing, keep working, but just step back and take a look at things, OK.
Kaepernick, 28, is going through the worst season of his career with 6 touchdowns, 5 interceptions, and a 78.8 quarterback rating.  The Niners also have a league-low of 109 points scored through eight games. "It was a tough decision," Tomsula said. "All those decisions are tough, but I felt that was the direction we needed to go. Watching, feeling where I'm at, I just decided now is the time. "In no way is 2-6 all on Colin Kaepernick; that's all of us ... this is a guy I care about a lot. This is a guy that I respect a lot. This is a guy that I think has talent. It's just me, what I'm watching, what I'm feeling, and I want him to just step back, keep working, let's do our thing and move forward." There's still a chance possibly Kaepernick can get his playing time back if Gabbert ends up playing very poorly. 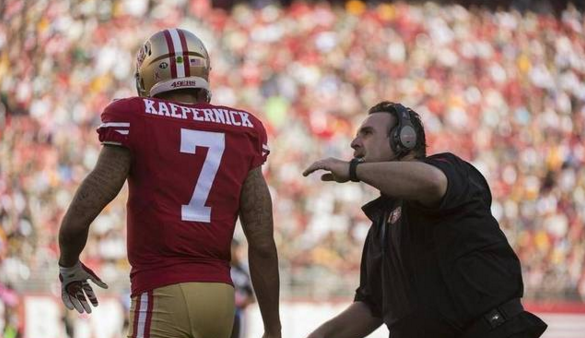 Tomsula is confident Kap can bounce back from the demotion. "Colin's going to keep fighting his way through everything," Tomsula said. "I mean, the competitiveness in that guy is second to none. You all know that. And he wants to fight right through it ... but Colin will be a tremendous teammate. He'll give everything to this team that he gives and he'll keep working hard and he'll prepare and Colin will be a wonderful teammate." It's looking very likely that this will be Kap's last season in a 49ers uniform. Expect him to be on the Houston Texans or Philadelphia Eagles in the offseason.